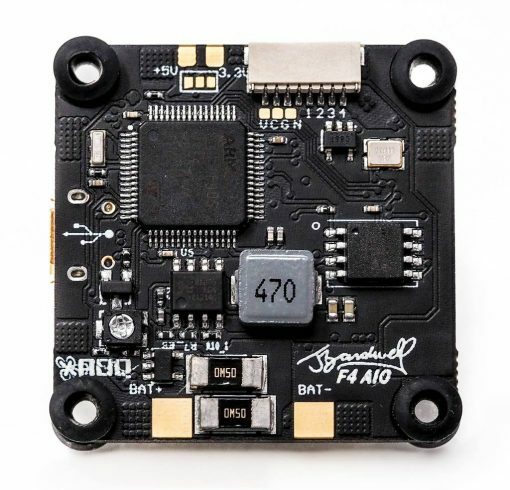 The Bardwell F4 has been redesigned with V2 of the extremely popular Flight Controller. 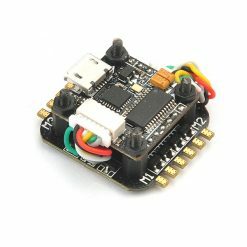 V2’s 9v regulator and OSD circuit have been completely redesigned to make them as robust and reliable as possible. The current sensor max has been increased to 240 amps after reports that some users were exceeding the 130 amp maximum on previous boards (YOU BEASTS). 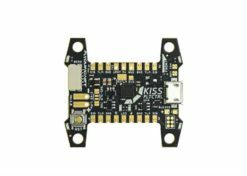 The current sensor has also been factory calibrated so that you don’t have to go through a tedious manual calibration process to get your amps and mAh accurate. 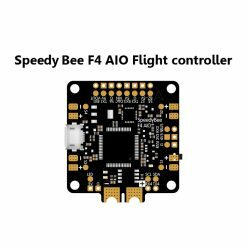 Finally, the 4-in-1 plug has been upgraded to support both analog current sense and ESC telemetry, for compatibility with all ESCs (reference pages 4/5 of the manual for setup info). When setup appropriately, the Bardwell F4 *should* not need any capacitors in order to have clean video. However, on certain setups it will simply be unavoidable. 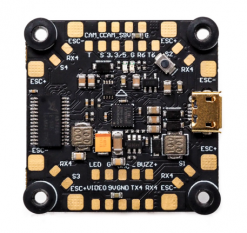 Here are tips on how to setup your board for best video quality and the least likelihood of needing capacitors for perfect video. 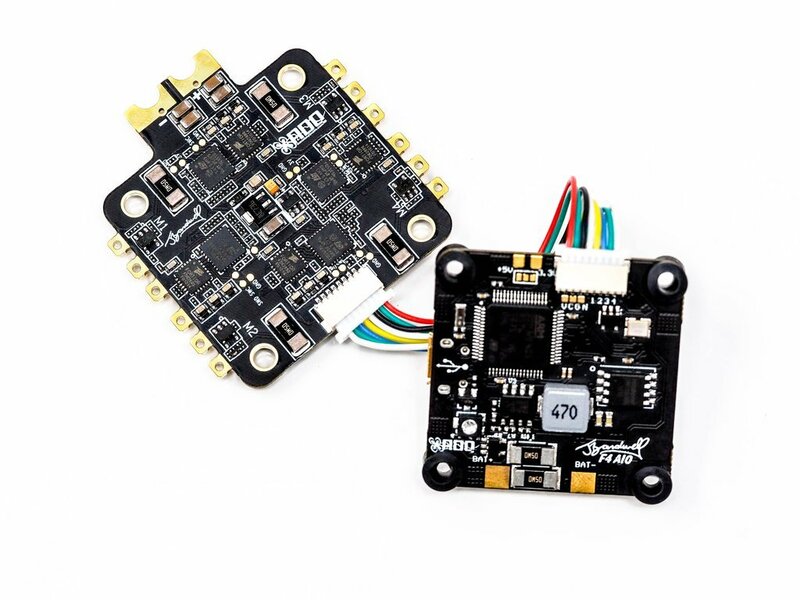 Can your VTX power your Camera? If yes, power your Camera straight off your VTX 100% of the time. 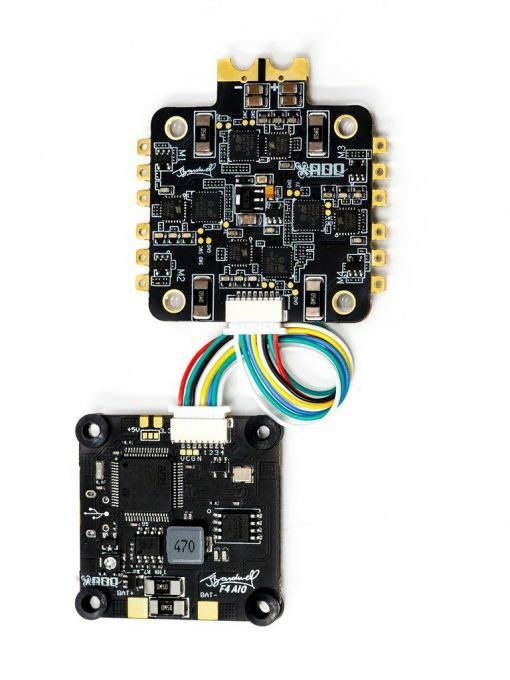 If no, then use the supplied camera power pads on the Flight Controller. If you aren’t using it, don’t wire it! Not using OSD or camera control? Then wire your camera’s video straight to your VTX (not through the video pads on the FC) and do not wire the camera control. I have a noise (clear lines) issue: Follow steps 1 and 2 above. If still noisy (and you don’t want to use a cap), then power your camera off of the same pads as your VTX. If this does not work, then your build requires a cap. 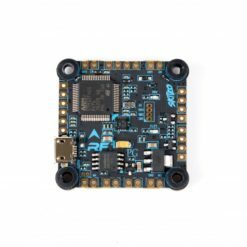 Kind of a last resort is considering not using OSD or camera control and then wiring appropriately (depends, would you rather no Cap or no OSD in your build?). 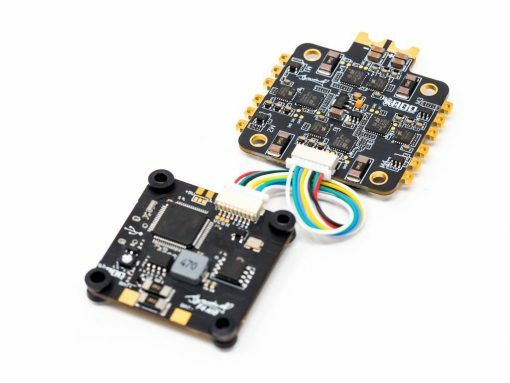 I have a power (black lines) issue: Your VTX is power hungry! This is a known thing with some VTXs, like the Mach 2 and the Unify series. They simply do not do well under regulated power. You can often confirm this by testing power levels. The issue will be worse at 800mw than 25mw. The only fix is to power your VTX directly off of the battery leads. 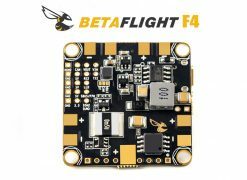 If this does not remove the black lines, you have a defective VTX or a defective Camera. We’d bet it’s the Camera that has gone bad before the VTX if you are taking a wild guess. But, if all is good then now you should either A) have clear video or B) have noise (clear lines now instead of black). If you have noise, refer to steps 1 and 2 above. If that does not fix the noise, then your build requires a capacitor.